Acoustic-induced vibration can cause piping failure at pressure reducing valves, safety valves or other pressure drop areas in a piping system. This study is recommended for gas systems where pressure reducing valves are located. It can also be part of BETA's Piping Vibration and Integrity Assessment (AVIFF) (per Energy Institute Guidelines for the avoidance of vibration induced fatigue failure, 2008). Pressure reducing devices can generate high acoustic energy that excite the pipe shell vibration modes. This acoustic-induced vibration (AIV) leads to fatigue failure in the process piping or nearby small-bore connections and generates broadband sound radiation in the range of 500 Hz to 2000 Hz. Figure 1 illustrates piping shell modes that are excited by acoustic-induced energy. Shell mode vibration causes small-bore piping to vibrate. 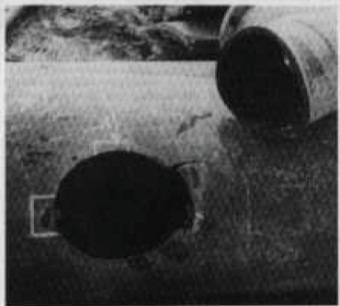 Unless controlled, AIV results in catastrophic piping failures (Figure 2). The internal acoustic energy can also create external noise that affects operator safety (hearing loss). AIV occurs in a compressible flow stream such as gas or two phase piping systems. Small-bore connections, also called branch attachments, such as welded supports are most at risk. The broadband excitation causes the locations to be resonant, resulting in cracking and fatigue failure. AIV fatigue failure may occur in a very short period of time (minutes to hours). Sound Power Level (PWL) refers to the acoustic energy generated by flow through a pressure reducing valve or device. 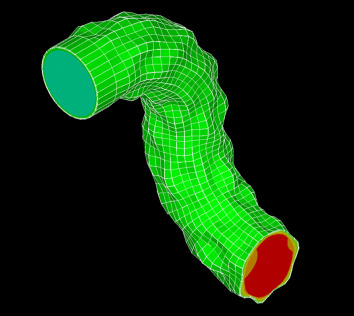 The Acoustic-Induced Vibration Study (AIV design study) calculates the PWL and determines if the piping system is sufficiently strong to resist AIV fatigue. If necessary, changes are made to either the PWL or the piping system. Recommend modifications to the piping system, valves or other solutions to reduce dynamic stress levels. Eisinger or ‘D/t’ Method. This is approach is used to check for piping against acoustic fatigue by comparing the Diameter/Thickness ratio to empirical design limits. The design limits are a function of the PWL as established by Eisinger, Carucci & Mueller, and NORSOK Standard. Energy Institute Guidelines (2008). This method checks locations such as branches and welded attachments. The PWL is calculated in a similar manner to the D/t method, but there are some differences in how the fatigue limit is derived. BETA can meet whichever of the above two approaches the customer prefers. Specialized software is used to improve the quality and efficiency of the analysis, ensuring the project is completed quickly and on budget. For new systems such as Centrifugal Compressor Systems customers often conduct both the Acoustic-Induced Vibration (AIV) Study and the Flow-Induced Vibration (FIV) Study to ensure that both excitation sources are properly addressed. If you are involved in the design or operation of high pressure systems, contact BETA for application support relating to AIV and other vibration issues. Contact BETA should you suspect problems in your piping system due to AIV. Our field engineers can provide onsite support to assist with measuring and resolving piping vibration issues.